It’s that time of year again! 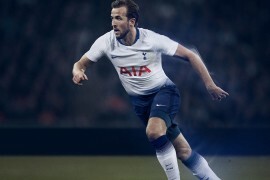 With the return of Champions League football to our lives, adidas unveil the ball that two of the best teams in Europe will play with should they make it to the final at Wembley. 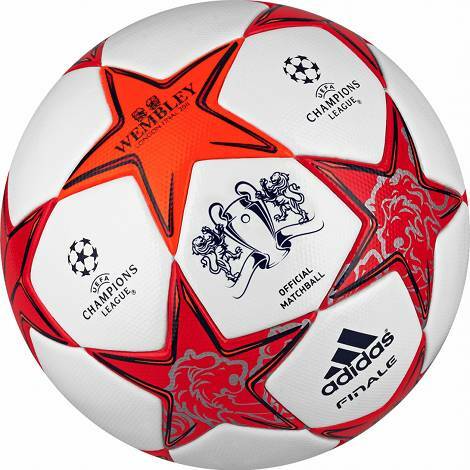 The design of the official adida Finale Wembley match ball for the 2011 Champions League Final is based on the widely recognized, iconic ‘starball’ design that has been showcased on all of adidas’ UEFA Champions League balls since 2000/01 and is coloured White/Warning/Orange. 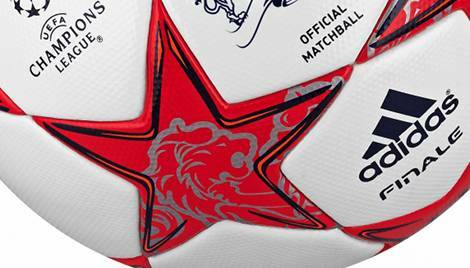 The ball features the Scarlet Champions League star motifs with traditional British Silver lions and Warning detailing on the edges of the panels.. 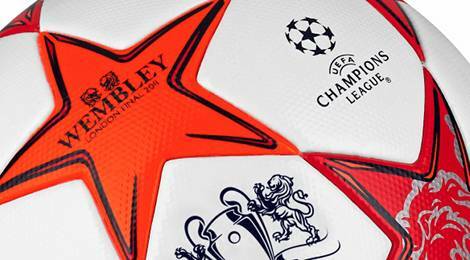 It also has a Warning Champions League star motif in the centre with ‹Ĺ›Wembley London Final 2011˘€žË – though, let’s face it, the centre of a three dimensional object is somewhat subjective. The adidas Finale Wembley ball is the eleventh incarnation of the adidas Finale, and will be used for Champions League Final at Wembley on 28th May 2011 by the two teams that battle their way to the final. Alongside the traditional design elements of the ball, new technology is introduced. 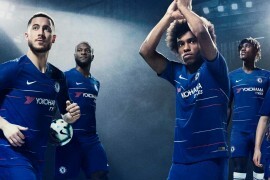 Under the motto design becomes technology, adidas has succeeded in integrating the technology of the ball into the star panel design, making the adidas Finale Wembley ball and the UEFA Champions League logo inseparable. The goose bumps, a PSC-TextureĹľ known from previous editions of the ball, have been kept, guaranteeing ideal ball control under all conditions, better power, swerve and control. 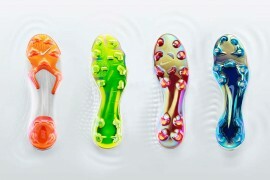 This surface structure allows players to control and direct the ball better in all weather conditions, along with providing optimum grip between the ball and boot. 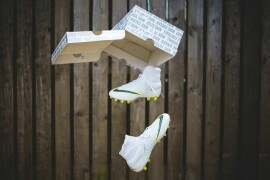 The Finale 11 is constructed from 14 panels using “revolutionary Thermal Bonding Technology” which removes the need for seams and stitching – great for prolonging the life of the football. 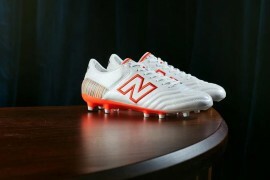 The adidas Finale Wembley is available at retail stores worldwide from March with a hefty RRP £80. adidas’ Finale balls have always done a fantastic job of capturing some of the spirit of the occasion or the city the finale is being held in (last year’s Finale_X was exquisite, and the Finale Rome was classy, too) do you think this does as gooder job as it’s predecessors? Pingback: WIN: MATCH-USED CHAMPIONS LEAGUE BALL & ADIPOWERS!